I’m not going to do a big long write up on Kanoyama, as I’ve probably written too many already. Today’s post will be a straight photo diary! 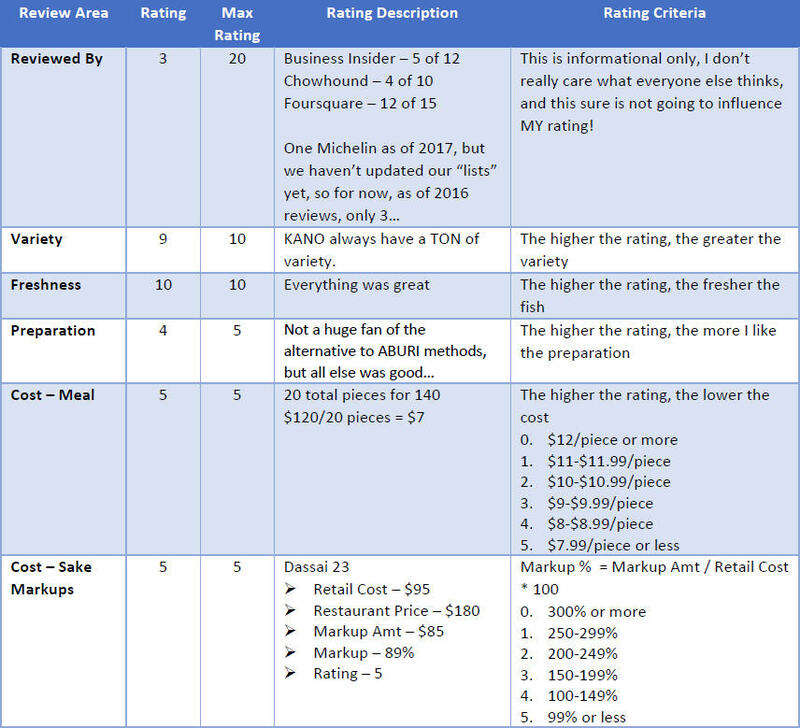 I just NEEDED to write today to share one tidbit of info about Kano’s pricing. 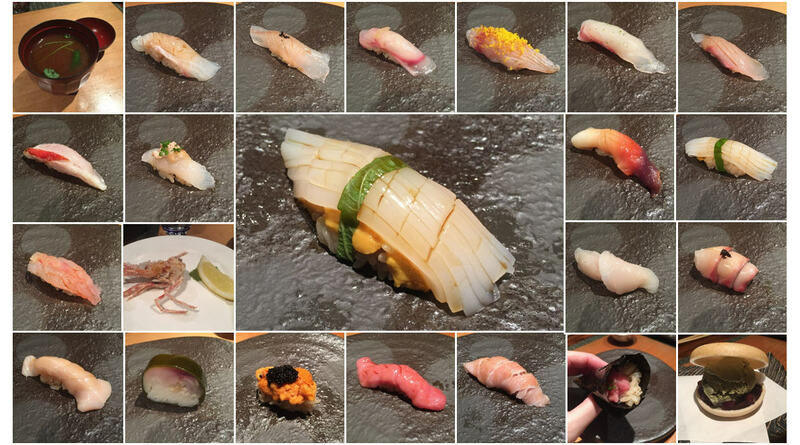 Their base omakase is $96, but I’ve never tried that omakase. 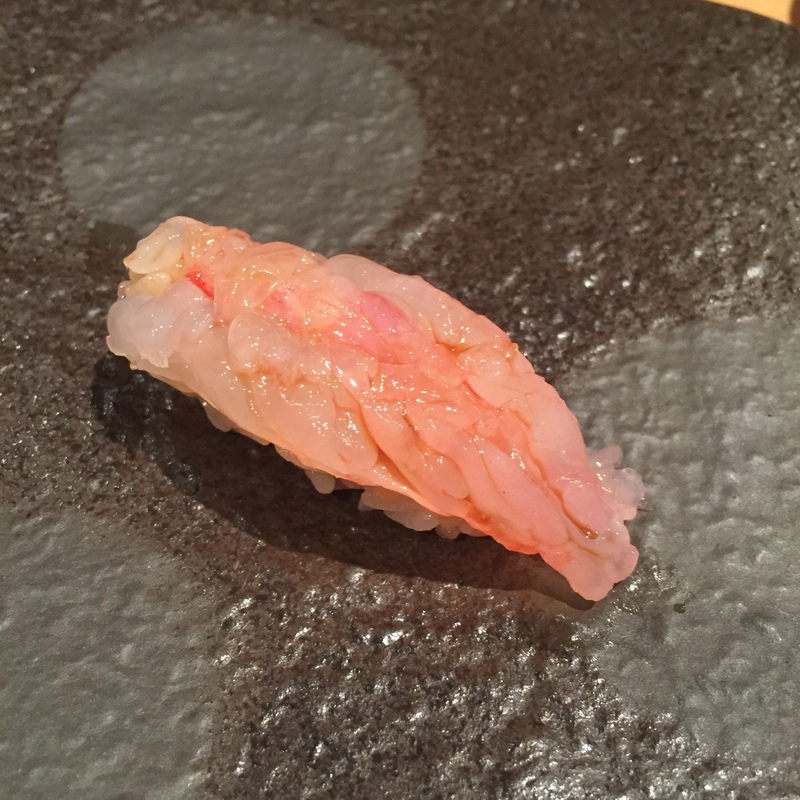 When you order, they always share that for $120, you will have the UNI and EBI (shrimp, sometimes KURUMA sometimes BOTAN) included in your omakase. Now what’s omakase without those two goodies? Today, the options were $96 or $140. The $140 option is supposed to include the seasonal fishes. I thought, well that is DUMB. They can’t magically produce fish that isn’t in season. What did they do, freeze and store fish from prior seasons, sucking up their storage space, and taking it out to serve months later? DUMB DUMB DUMB! 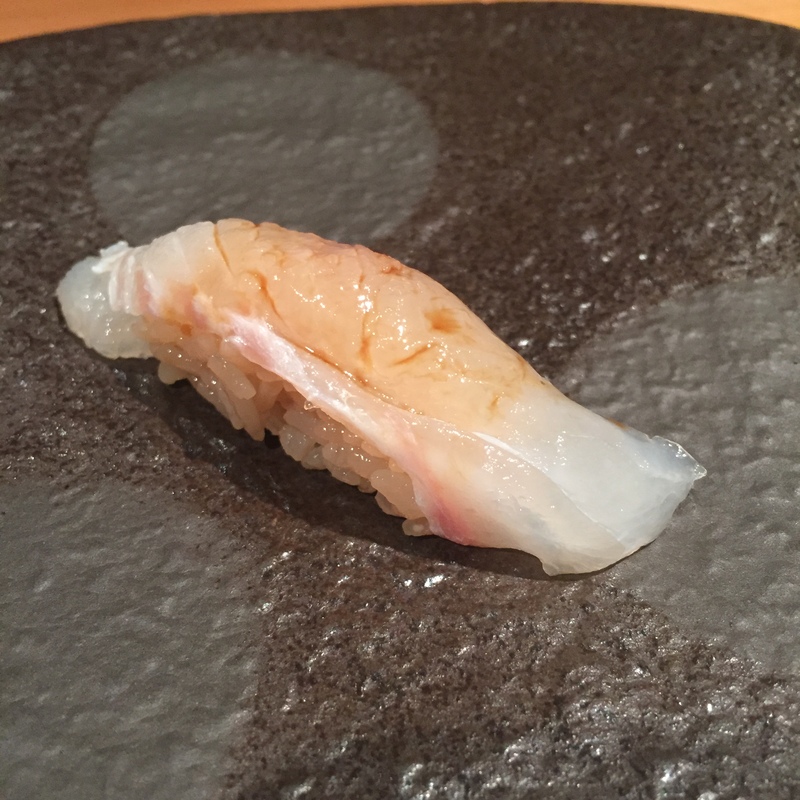 Whether the omakase is at $120 or $140, Kanoyama is still well worth the cost. I just don’t like the “spin”. If this was any other restaurant. If we didn’t love Kano so much, if I didn’t still think it was a great deal, I would have spoken up. Instead, we just accepted it. 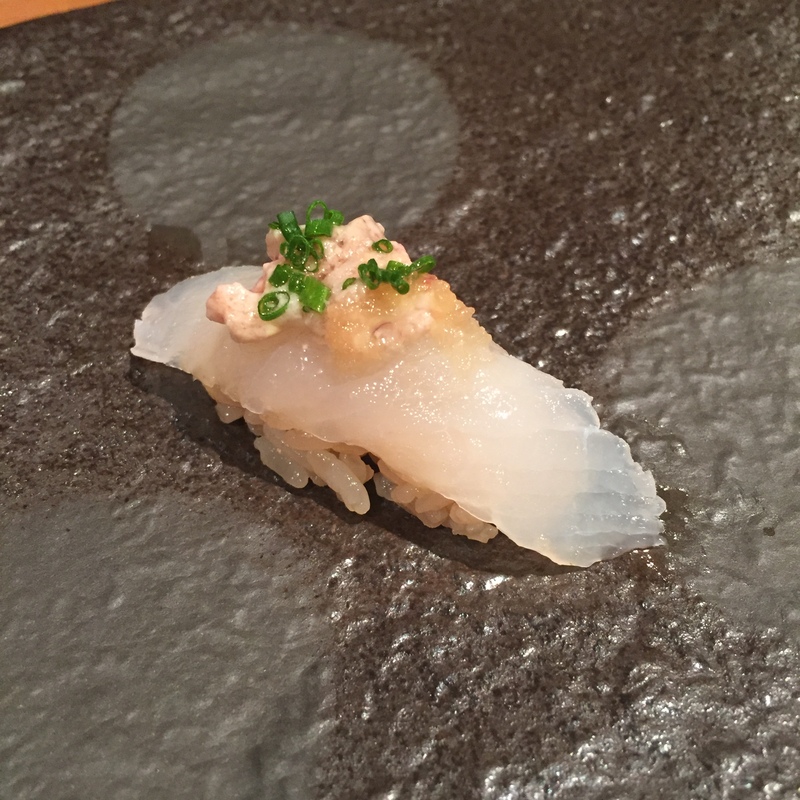 HIRAME KOMBUJIME (Flounder marinated in seaweed) – Chef often starts with this, and it’s a lovely, lovely piece. 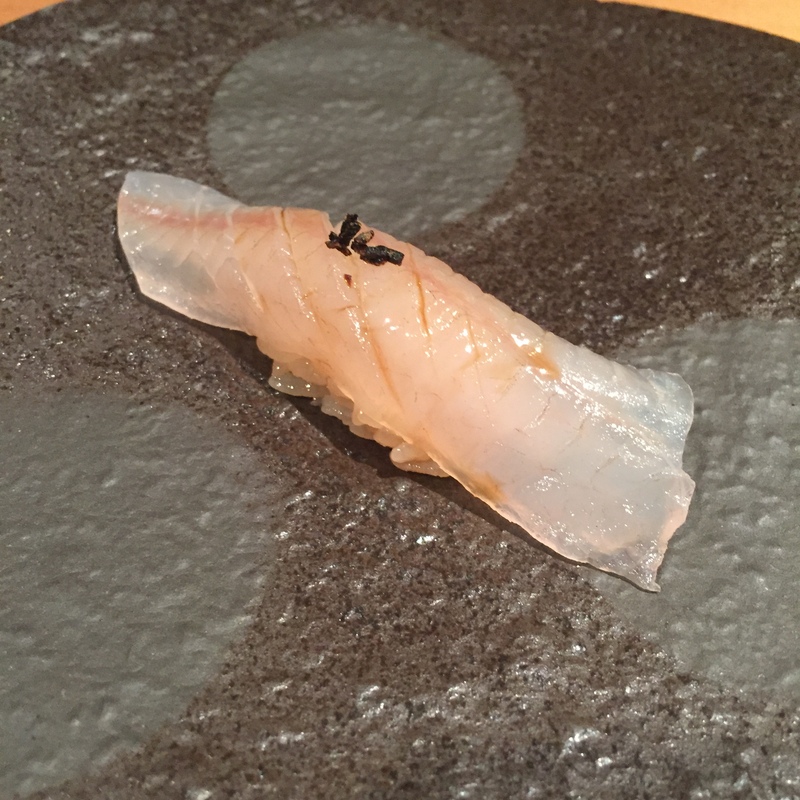 KISU (Whiting) – Served with dried seaweed. MELTS in your mouth goodness! HATA (Grouper) – Served with ground radish, DELISH! 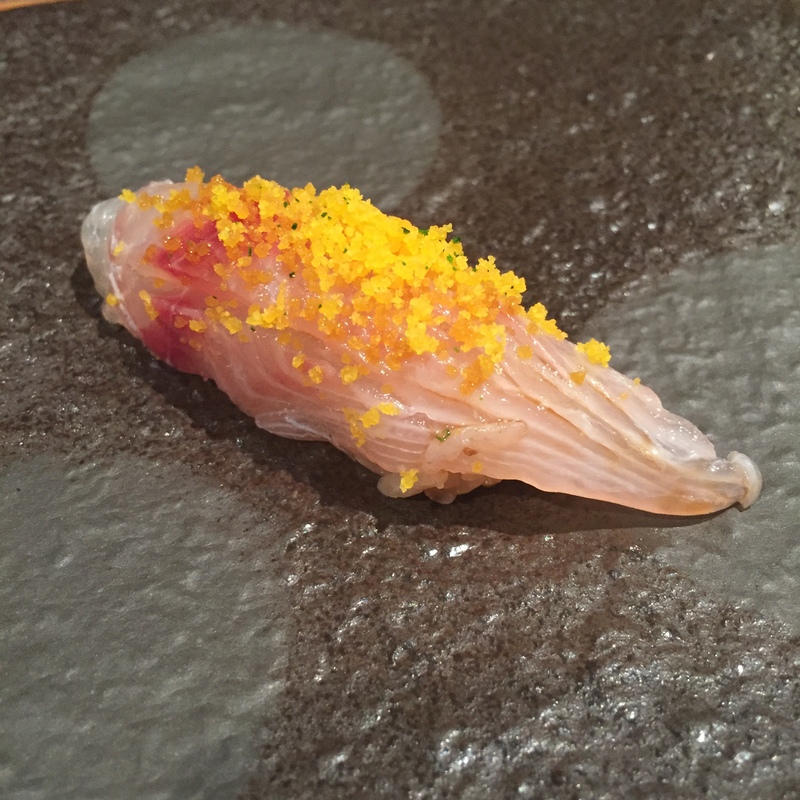 MADAI (Seabream) – Served with YUZU zest and sea salt, incredible! 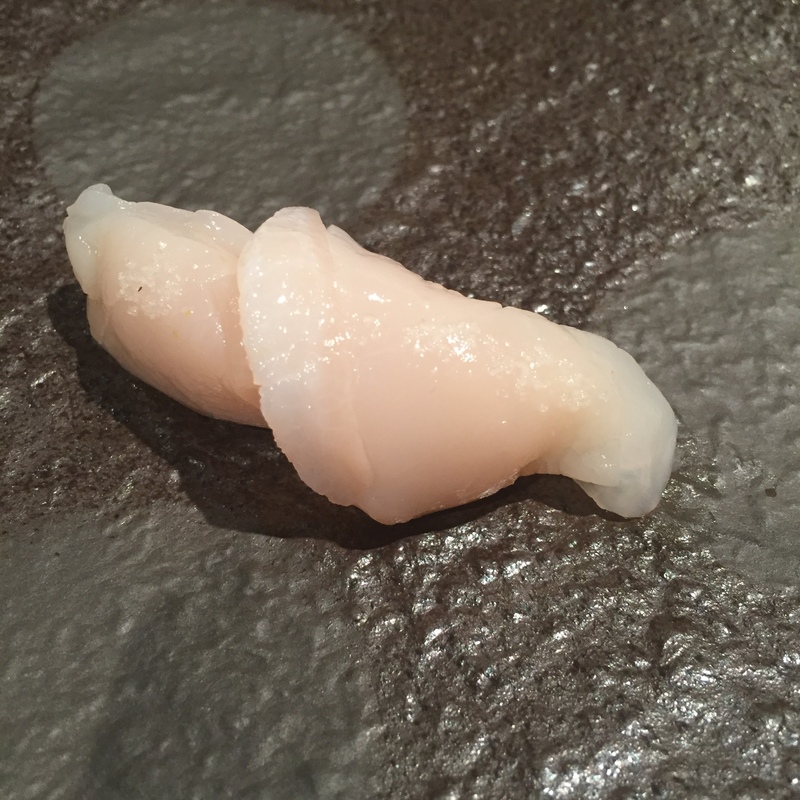 HOTATE (Scallop) – Served with sea salt. Very very good, see? Every piece thus far has been incredible. This is why we have to keep coming back here! 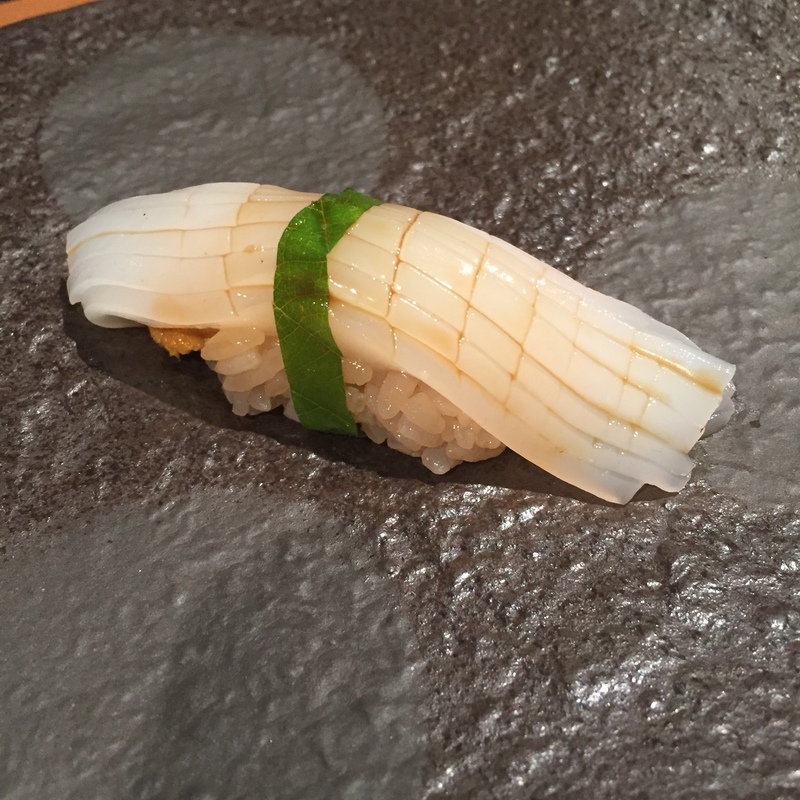 IKA, California UNI and SHISO (Squid with sea urchin and Japanese mint) – DAMN!!!! I took back what I said about the HOTATE. This piece was beyond incredible. 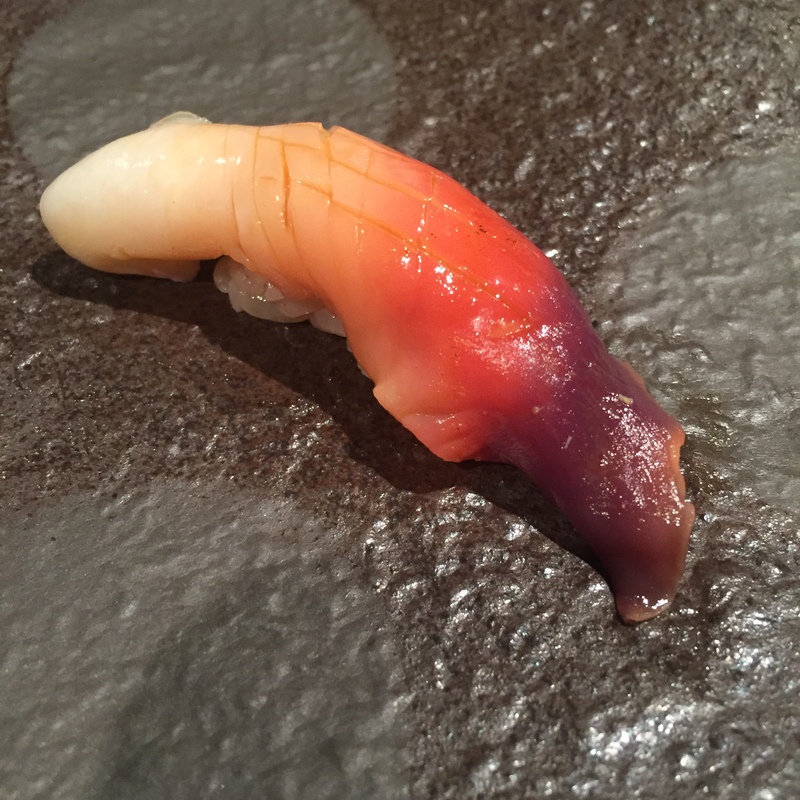 I love the combination of the chew in the IKA, and the meltiness of the UNI. 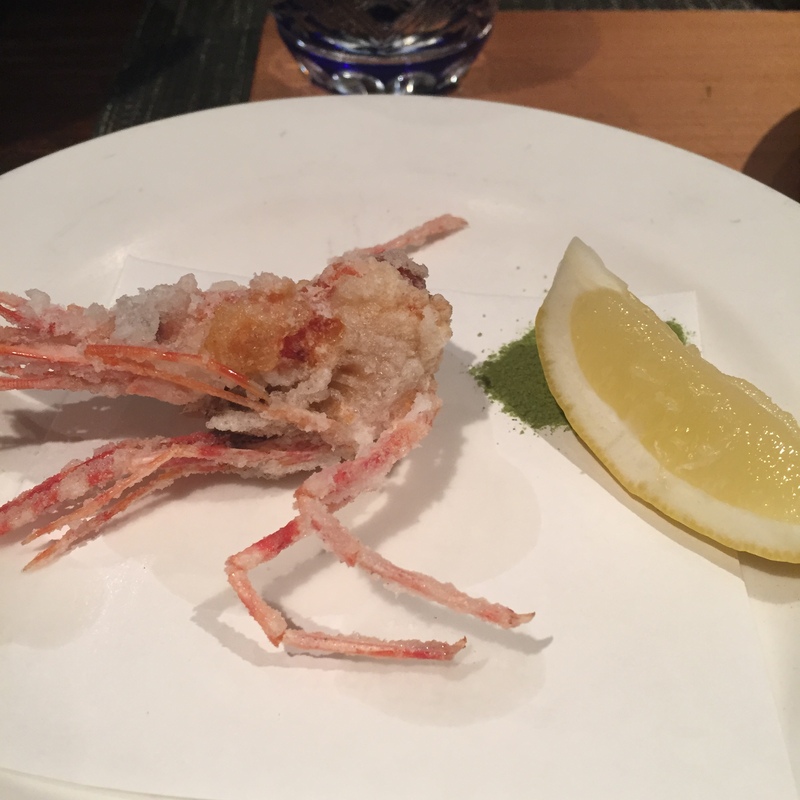 BOTAN EBI (Spotted Sweet Shrimp) – Slightly blanched, and DELICIOUS. 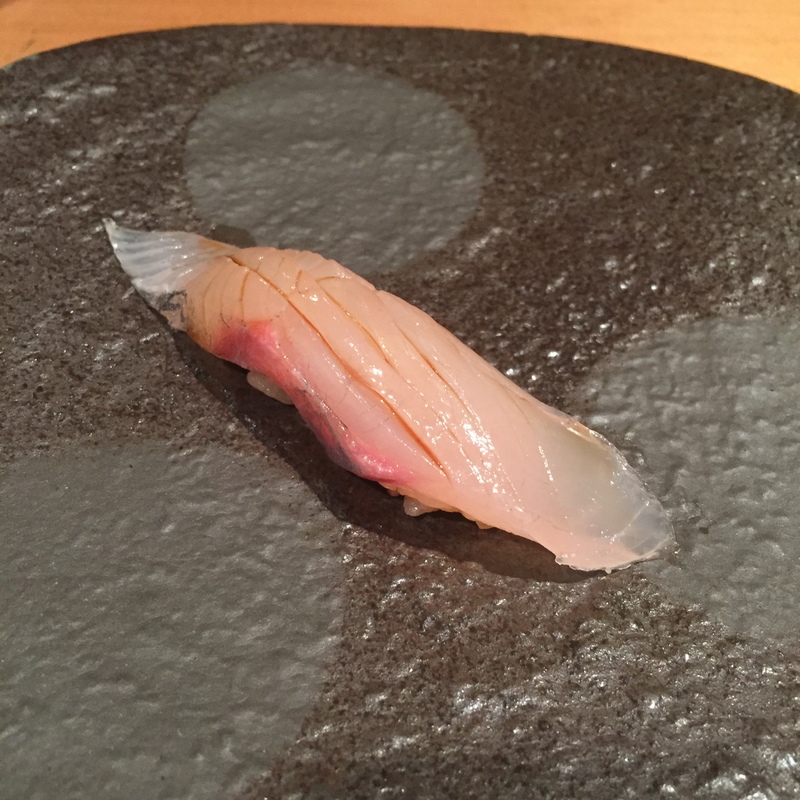 KAWAHAGI (Filefish) – The second time I’ve had KAWAHAGI in NYC. 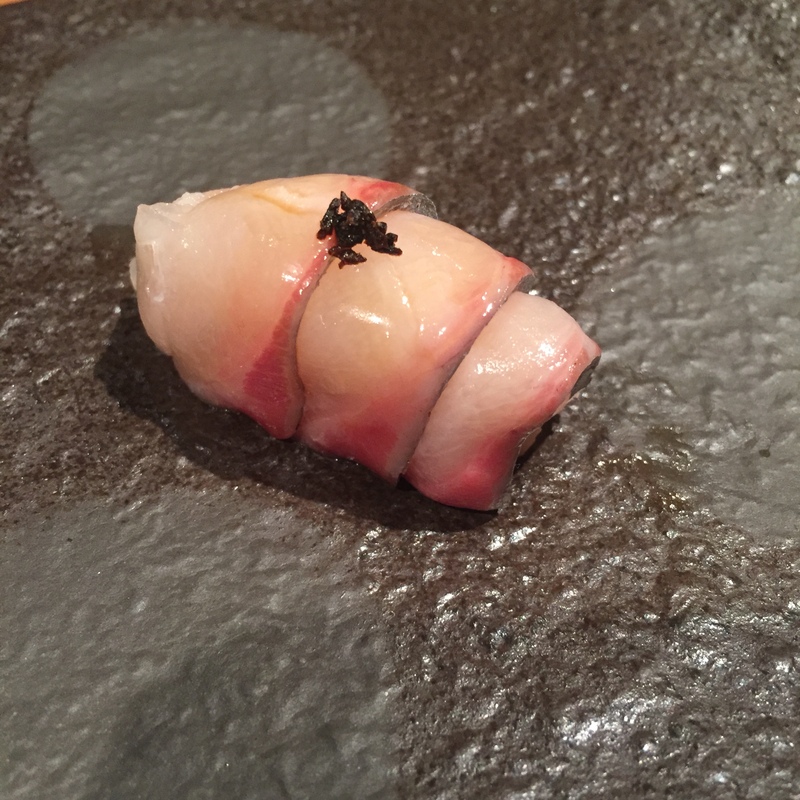 KAWAHAGI is known for their huge livers, that gets served with the fish. It’s really a treat. 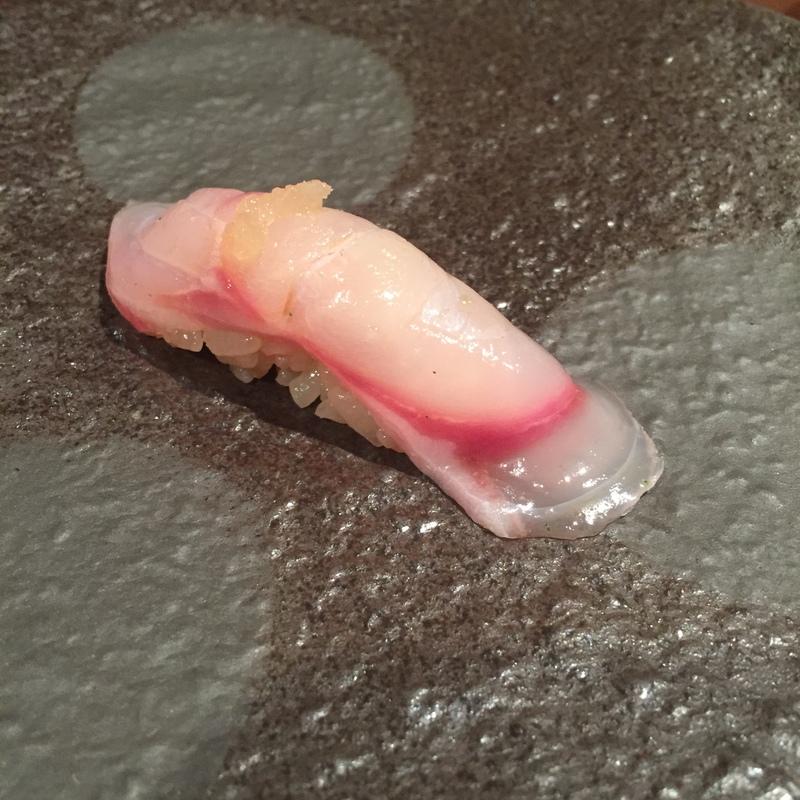 SHIRROKO (Baby Amberjack) – I don’t think I can tell the difference of a baby amberjack vs a amberjack (KAMPACHI). If I wasn’t so oddly full today, I would have done a side by side comparison. This was really nice, but no crunch. 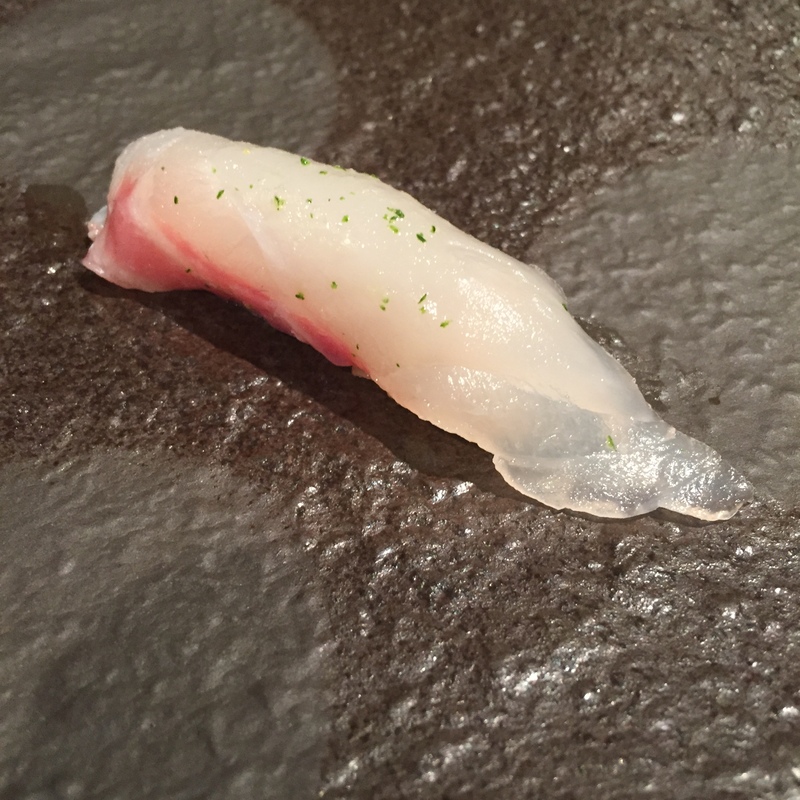 SHIMA AJI (Striped Jack) – VERY nice. Always love chef’s SHIMA AJIs. 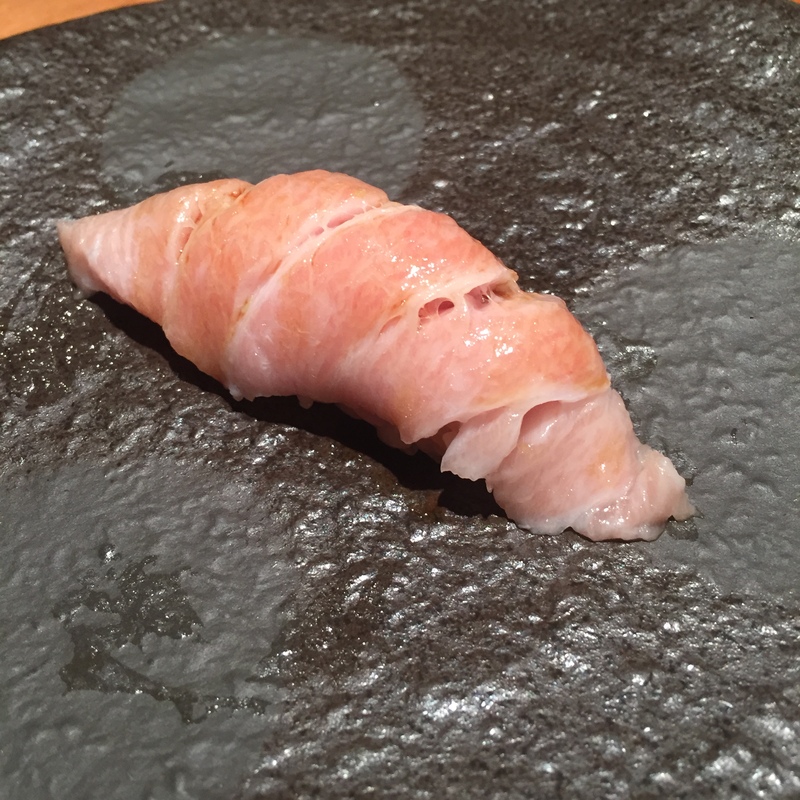 CHUTORO (Medium Fatty Tuna) – Incredible! 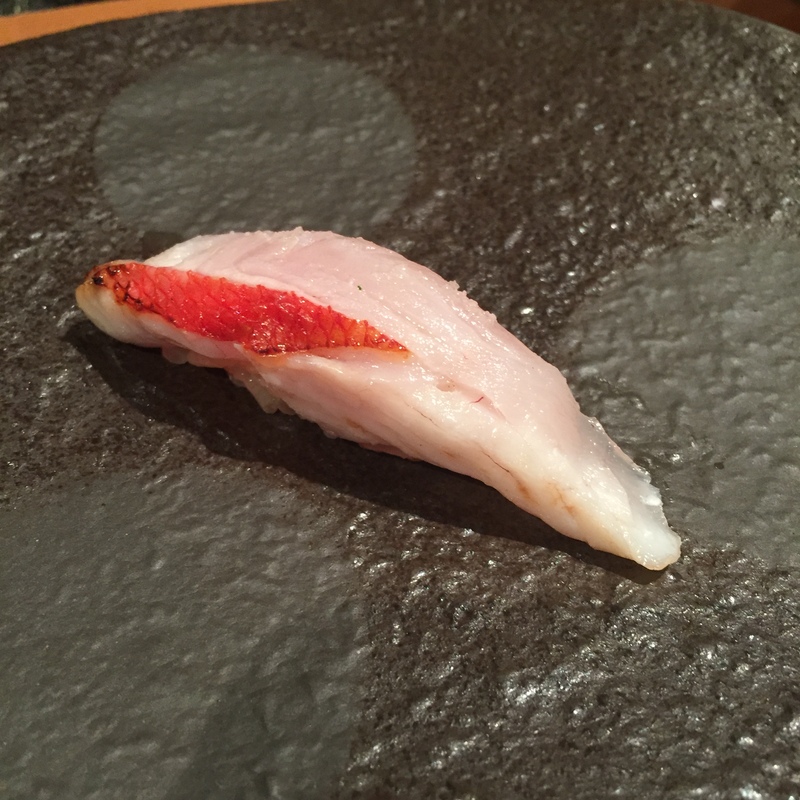 OTORO (Super Fatty Tuna) – Delicious, but OMG Fat overload! 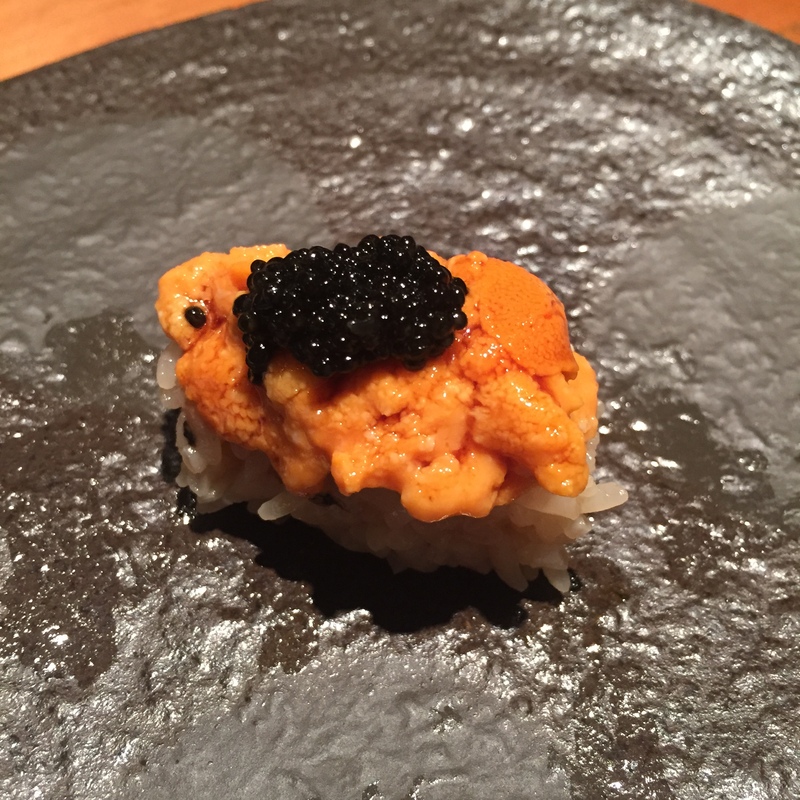 Hokkaido UNI with Hackelback – Seriously, one day, I will tell chef that his Hackelback is not great, and he should just serve the UNI on its own, as it is scrumptious. 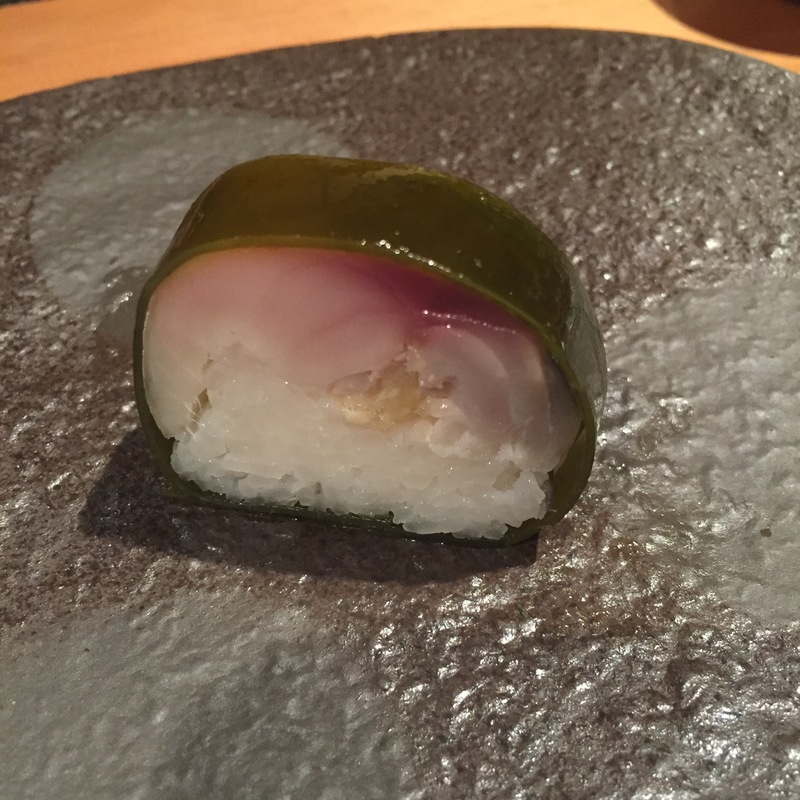 IKA, California UNI and SHISO Last sushi – for our last piece of sushi, chef always lets you choose. No UNI and no Shrimp, those are the only rules. 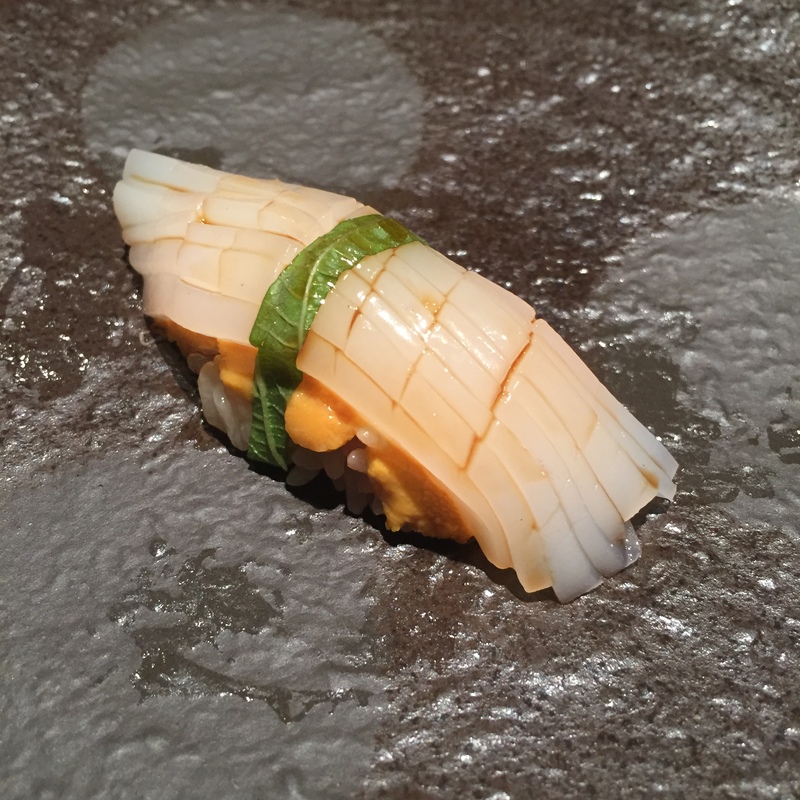 Of course, we chose the most amazing piece of the night, hands down, IKA/UNI/SHISO! Believe it or not, this was even better than the first one! YUM YUM YUM YUM YUMMMMM!!!! 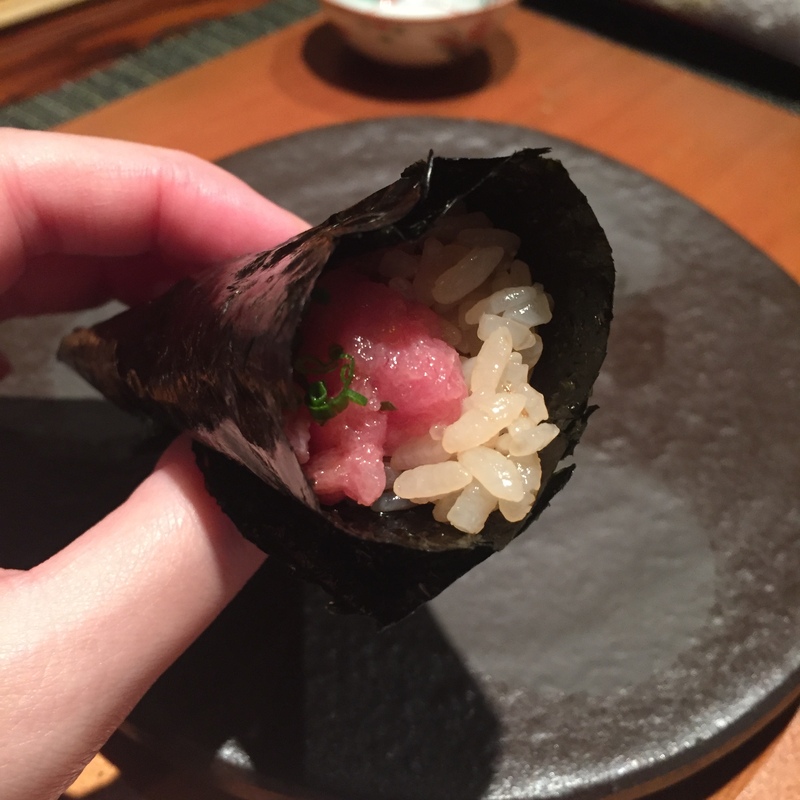 Negitoro Handroll (Fatty Tuna with Scallions) – Always fantastic! 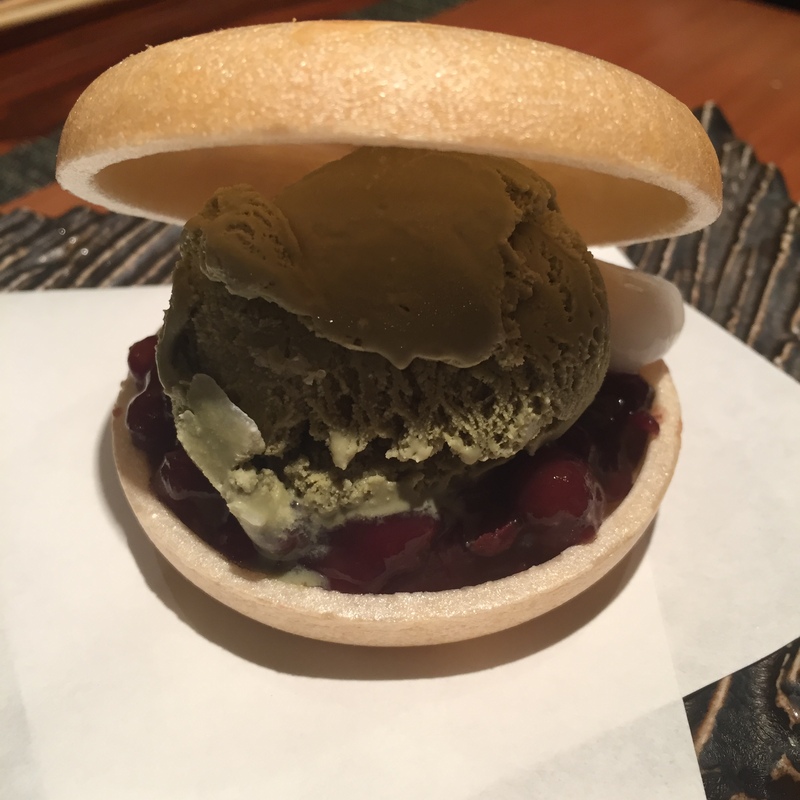 YUMMY Dessert – Red bean paste in an air-like puff of a pastry crisp, with green tea ice cream on top.